AviaAM Leasing, a subsidiary of Lithuania’s Avia Solutions Group, has delivered a Boeing 737 business jet to KlasJet, a European charter carrier also based in Lithuania. The 56-seat 737-500 was acquired by AviaAM Leasing in November 2016. After that MRO provider FL Technics implemented major modifications to convert the aircraft for charter transportation of large groups of business passengers and sports teams. 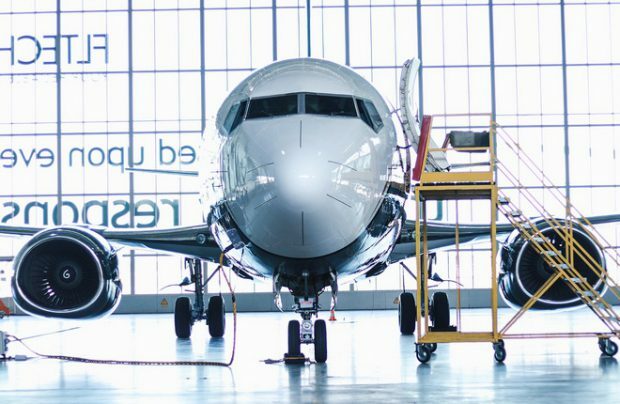 “After acquiring the Boeing 737 in a condition favorable for such modifications, we entrusted FL Technics with this challenging project and the result is more than we could have expected,” commented Tadas Goberis, chairman of the board and CEO at AviaAM Leasing. Upon completion of the modifications, the Lithuanian Civil Aviation Authority issued the aircraft with an EASA type certificate and airworthiness documentation. The 737 has already piqued the interest of several athletic teams, including the Kaunas, Lithuania-based basketball club Zalgiris, which will begin using the aircraft for charter flights to Euroleague matches this fall. The aircraft was built in 1998 and was previously operated by US carrier Continental Airlines.